The industry seems to be healthy, with attendance at 22,000 to 24,000 people – up from last year and about 550 exhibitors in the three separate Moscone Center halls. As for car sales, NADA’s chief economist Steven Szakaly forecasted US new vehicle sales will go up from 16.5 million sold in 2014 to 16.9 million sold this year. Economic growth is behind it with an improving housing market and job expansion leading to a surge in demand; low gas prices are a factor and that should tip the scale to more demand for pickup trucks and SUVs. Michelle Krebs, senior analyst at AutoTrader, expects electric vehicle (EV) sales to continue softening this year. Some of that has to do with internal combustion engines having stronger fuel economy and performance through stop/start systems, direct injection, turbocharging, and other factors. Limitations on EV charging stations are another part of it. 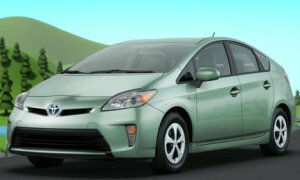 As for hybrids, there’s still a lot of online shopper interest in them, but that’s many times diverted over to fuel-efficient vehicle purchases. Krebs was very impressed with the Consumer Electronics Show (CES) this month, where automakers for the first time played the dominant role. CES could be the leading auto show of the future, Krebs said. Mercedes stole the show on driverless cars, and BMW and Volkswagen stood out demonstrating their self-parking car systems. One AutoTrader survey showed that while consumers are not that supportive of self-driving cars, they do have interest in connected car technology features currently available on cars – and which are leading the way toward autonomous vehicles. Jennifer Weaver of National Biodiesel Board said that the association’s annual conference this month in Fort Worth, Texas, was well attended. There’s still concern about the US Environmental Protection Agency’s (EPA’s) final ruling on the Renewable Fuel Standard (RFS) being delayed. Biodiesel is the only advanced biofuel on the RFS list of supported fuels that’s reached commercial scale production and sales. Nearly all diesel vehicles allow consumption of biodiesel, with much of that in the B5 to B20 range. While some biodiesel producers were hit hard by the EPA’s delay of its production schedule, there are several large and stable biodiesel companies, Weaver said. Having stringent ASTM fuel specifications has set a standard for bringing clean biodiesel to fueling stations. Fleets are gaining more interest in biodiesel since it reduces greenhouse gas emissions by more than 50% compared to petroleum diesel; the cost is comparable and sometimes less than diesel; you can run biodiesel without having to make any engine conversions; and public fuel dispensers providing biodiesel are becoming widespread throughout the US. As for big news breaking at the convention, former Florida Governor Jeb Bush attacked the Consumer Federation Protection Bureau (CFPB) for coming down too hard on dealer sales tactics. Some think Bush is likely to announce his candidacy for president in 2016 – one year after keynote speaker and potential presidential candidate Hillary Clinton gave a keynote speech at the NADA convention. Another hot topic being discussed is what’s going to happen to dealer corporate buyouts and mergers now that Warren Buffett and Berkshire Hathaway have invested their way into the dealer world. Another interesting news development took place during NADA when billionaire investor George Soros, who has a lot of experience in auto industry capitalization, was said to be considering acquiring a dealer network. John Krafcik, president of TrueCar, sees a strong correlation between gas prices and Toyota Prius sales, which continue to be down. Full-size pickups are doing much better than hybrids as gas prices stay down. On the subject of clean diesel passenger vehicles, Krafcik sees that greenhouse gas emissions present a strong challenge for diesel vehicles. Diesel vehicles release 14% more CO2 than gasoline; some of these clean diesel cars may be about 10% to 15% more fuel efficient than comparable gasoline engine cars, but they end up breaking even with diesel cars usually costing more than gas engine models. Going mobile in San Francisco means accessing transportation alternatives such as riding in a cabled electric bus, or a BART train, or taking Uber across town. I rode with Uber to and from the airport to save money off the usual taxi fare of around $50 from SFO to the center of the city. One of my trips cost $34 and the fee on the return trip to the airport was only $16. Why that was so much cheaper the second time wasn’t explained to me. Have you seen the YouTube video that went viral a few days ago – where passengers driving down a street in Kent, Wash., view a Tesla Model S on fire? The car struck metal debris on Oct .1 in the town near Seattle – said to be a “curved section” that fell off a semi-trailer. 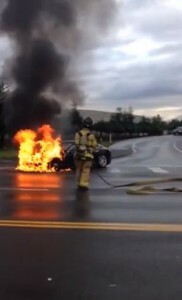 First responders said that the fire occurred in the electric vehicle’s lithium-ion battery. “The geometry of the object caused a powerful lever action as it went under the car, punching upward and impaling the Model S with a peak force on the order of 25 tons,” Tesla CEO Elon Musk wrote in a statement. “Had a conventional gasoline car encountered the same object on the highway, the result could have been far worse.” The driver was safe and only had good things to say about the car. Tesla’s booming stock price dropped 10% over two days but looks like it could be coming back. It will most likely turn out to be similar to what Chevrolet went through with the NHTSA report on the Volt lithium battery catching fire in a test; or to Nissan going through the wringer last year over the Leaf’s battery life receding in extreme heat conditions in Arizona. The Volt and Leaf are doing just fine, and the Model S will probably come through in sales and reputation if handled the right way by Tesla Motors. In other Tesla news, the automaker is moving forward to direct sales in Virginia. 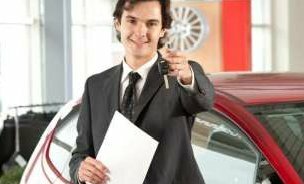 The Virginia Department of Motor Vehicles and the Virginia Automobile Dealers Association reached an agreement late last week to allow the automaker to apply for a single dealership license. 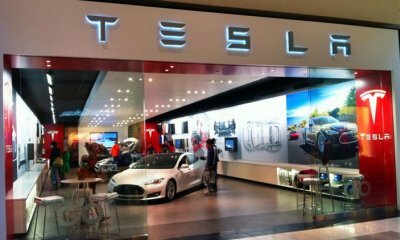 Tesla withdrew a lawsuit and now needs to get approval from the Virginia Motor Vehicle Dealer Board, the state regulatory agency that oversees dealers in the state, before it can begin selling vehicles in Virginia. 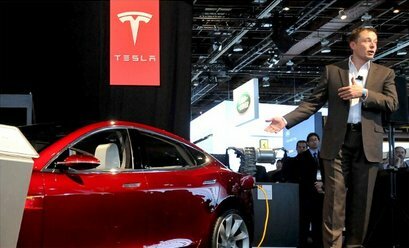 Tesla Motors has taken another step toward expanding its fast charger options for Model S drivers. For $1,000, you’ll soon be able to get a CHAdeMO fast-charger adapter. While the 50 kilowatt CHAdeMO stations aren’t nearly as fast of the 120 kW Tesla Superchargers, there are a lot more of them out there on the roads – primarily in the Pacific Northwest region. As reported by a Green Auto Market reader close to the story…. The coverage of California’s governor approving bills last week incorrectly reported funding for 100 hydrogen fueling stations in the state. 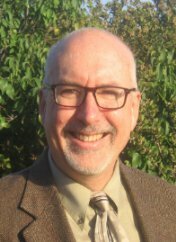 It wasn’t $20 million in one lump sum – it needs to be described as “either $20 million per year or a potential total of $220 million during the life of the extended program (until 2023).” My reporting assumed that hydrogen stations would cost $200,000 each but it’s actually costing a bit more than that amount. So, if you catch incorrect reporting, please let me know. If you completely disagree with what I wrote, please let me know. It could inspire and fuel another commentary from me. Electric Drive Transportation Association just released electric vehicle sales numbers for September 2013. About 8,127 plug-in vehicles were sold last month – 4,477 plug-in hybrids and 3,650 battery electric vehicles. The numbers weren’t as high as August’s record sales, but they do show a 40% jump over September 2012. Cumulative 2013 sales for plug-ins were 117% higher than they were by this time in 2012. There were 33,576 hybrids sold last month, which correlates with the overall downward sales trend in new vehicle sales in the US market. Long term, it looked better – total sales for hybrids in 2013 were 21% higher than they were in the first nine months of 2012. The Cal­i­for­nia Air Resources Board (CARB) has stream­lined the process for propane auto­gas and nat­ural gas vehi­cle upfits through approv­ing changes to its rules. This brings the process closer to require­ments of the US Envi­ron­men­tal Pro­tec­tion Agency. Peter Ward of Alter­na­tive Fuels Advo­cates would like to see the process go fur­ther, where adjust­ments to the require­ments could be made with­out hav­ing to go to the Board each time. It’s the first substantial revision to the CARB rules in 18 years. Ward would like to see continued cooperation and mutual interest continued between CARB and the industry. “Keep the regulations nimble,” he said. Debate continued by panelists on how public charging should be funded. Some say it should be essentially free to the public – paid for by retailers wanting to offer consumers incentives for showing up and staying a while. Some charger makers and others argue that most of the charging is happening at home and the EV drivers should just have to swipe their credit card to charge somewhere else. However, one-time processing fees could be a problem for acceptance of these systems by consumers. Then there’s the problem of too many people charging during peak hours when utilities are limited in how much energy should be flowing to charging stations. It’s likely there are not enough EVs out there yet for it to be a problem, but the worry continues. Via Motors has a contract to build and deliver $20 million worth of plug-in hybrid pickups and vans to over 50 participating fleets. The fleets will also be sending real-time data to the US Department of Energy to study for improvements in fuel economy and emissions. ABB launched the Terra 53 for North America. This 50 kW DC fast charging station meets both SAE Combo and CHAdeMO standards for battery electric vehicles, all in one station. A coalition of US and German automakers unveiled a public combo charger at the Fashion Valley Mall in San Diego—in an eVgo Freedom Station. It uses the CCS plug and combines a J-1772 Level 2, 240-volt charge point with direct current (DC) fast charging. Eaton released its Dual AC Level 2 charging stations for simultaneous charging of two EVS. The stations can charge electric vehicle batteries up to three times faster than traditional charging systems to offer a cost-effective solution. 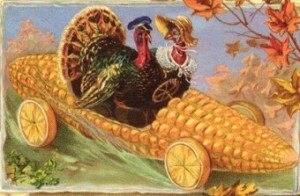 And in other news during a busy week…..
Clean Energy Fuels released its “Redeem” renewable natural gas fuel. The company says it is the first one to commercially distribute a renewable natural gas vehicle fuel made from waste streams such as landfills, large dairies and sewage plants directly to fleets around the country and at 35 public Clean Energy stations throughout California. Clean Energy says it’s 90% cleaner than diesel and comes from biogenic methane, or biogas – methane generated by decomposition of organic waste. The target is to produce and distribute 15 million gallons of Redeem in its first year. General Electric Co, Whirlpool Corp, Eaton Corp and others are developing more affordable natural gas vehicle home refueling systems. For about a tenth of the price of current models, plus installation, they aim to sell the new units to the millions of homes across America that are already hooked up to natural gas pipelines. Energy providers in Georgia, California and Utah are working on distributing new refueling units in the next two years. Honda has also expressed interest in the new technology. UK-based hydrogen fueling company ITM Power has a 4.45 million (pounds) project that will integrate its hydrogen energy storage and vehicle refueling system on the Island of Wight. It’s called EcoIsland Hydrogen Vehicle Refueller, which is supported by the UK’s innovation agency, the Technology Strategy Board. General Motors is expanding its collaboration with the U.S. Army’s Tank Automotive Research, Development and Engineering Center (TARDEC) to develop hydrogen fuel-cell technology. It ties in with GM’s new fuel-cell development facility in Pontiac, Mich., which is about 20 miles from TARDEC’s new fuel-cell research lab in Warren, Mich. The two entities will focus on testing the durability and performance of fuel-cell materials. In related news, Daimler and GM will be investing in two other fuel cell projects aimed at advancing the vehicle technologies and building out the fueling infrastructure. Daimler is putting about $500 million into a network of hydrogen stations in Germany over the next 10 years. 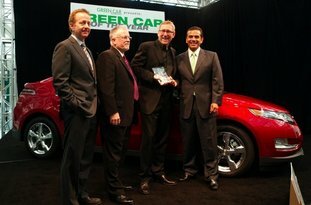 The Toyota RAV4 electric version took the top ranking away from last year’s winner, the 2013 Lexus GS 450h in the Automobile Club of Southern California’s 2013 Green Car Guide. Results come from the organization’s Automotive Research Center, which has been a leading vehicular emissions test lab since the late 1960s. Testers look at how hybrid, alternative fuel, electric, fuel efficient, and extremely low emitting gasoline-powered vehicles on the market are performing following a number of patterns vehicles are typically experiencing. Kia will release the 2015 Soul EV, the first electric car from a Korean automaker to be sold in the US beyond concept cars displayed at auto shows. 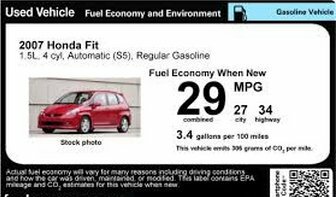 The US Environmental Protection Agency wants to make right with consumers to avoid future fuel economy rating meltdowns like the ones we’ve seen lately. EPA will be giving more information about its audits and data submitted by automakers. Results from 20 recent fuel-economy audits will be released soon to the public to start the changeover. Chrysler Group just recognized 30 of its dealers who’ve performed well through its second annual Dealer Environmentally Conscious Operations program. Dealers are saving money by adopting energy efficient practices and looking for ways to make the changes pay for themselves. 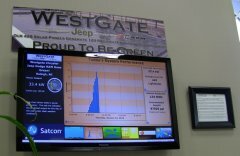 One of the more interesting examples has been Westgate Chrysler Jeep Dodge Ram, based in Raleigh, N.C. Westgate installed 420 solar panels on its service department and sold the power to the region’s electric utility at a fixed rate. It’s reducing energy costs $1,800 to $3,000 per month, depending on the volume of sunshine that make it to the solar panels. Chrysler Group is emphasizing two accomplishments its dealer network is reaching – significant contributions to the environment and creating a sustainable enterprise. There’s also the operating cost savings part – which will take a while depending on the incentives available to the dealer and the cost of having the solar panels installed or other building structure investments needed for improved energy efficiency. Dealers can access incentive programs in some states that lower the solar panel installation cost quite a bit; and can start up energy efficiency programs such as changing over to LED lighting fixtures. Chrysler looks at how its dealers are doing in energy efficiency, waste recycling, wastewater control, bulk oil containment, vehicle lift maintenance, and community relations program. The Chrysler dealers are based in 21 states, with four of them being in Michigan and four in Florida; California, North Carolina, and Texas each have two dealers recognized this year. They were selected based on data from dealership online surveys and in-dealership notes. As for vehicles, Chrysler Group hasn’t done much at all in the green space. It is testing out some plug-in hybrid Ram pickups and a few other concept models. Parent company Fiat has introduced the Fiat 500e electric car to the US market; some say it’s a “compliance car” in California, but it does seem to be getting a good deal of interest from car shoppers. National Automobile Dealers Association is in the process of having dealer members provide data in a benchmarking study through the US Environmental Protection Agency’s Energy Star program. They’re asking dealers to take a survey that will give EPA a benchmark to compare energy usage of dealers across the country, and to allow for certification of those dealers that perform well. Dealers are sharing their utility bills, total square footage, and different types of equipment being used at the dealership. The NADA and EPA relationship goes back to 2007 in what’s called the Energy Ally program that was designed to help dealers reduce their energy consumption. Dealers are being educated on energy reduction and cost saving opportunities and strategies. KPA, a dealer services and internet marketing provider, now has an alliance with NADA through Energy Ally. 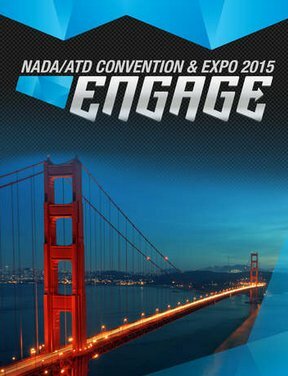 KPA and other companies are helping NADA to benchmark at least 500 dealers on their energy usage.